There is a quote that states ‘one person can make a difference’ and Helen Suzman was one of them. She devoted her whole life to fight against apartheid. The SA Post Office has issued a postage stamp to celebrate her life and achievements. Born on 7th November, Helen Suzman was anti-apartheid and a human rights activist and founding member of the Progressive Party. The stamp sheet was designed by Rachel Ackermann of the SA Post Office, and the stamps can be used as postage on ordinary domestic stamps. The stamps cost R3,90 each and will be for sale at all major post offices. Only 30,000 stamp sheets will be printed. Compared to the 2,5 million items that the Post Office delivers each work day, this is a very limited number. 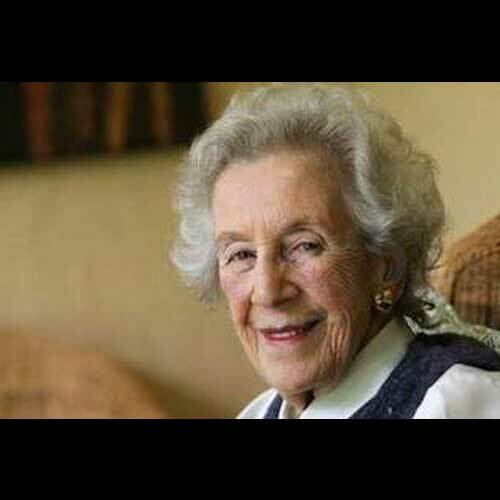 Helen Suzman was born Helen Gavronsky on 7th November 1917 in Germiston, South Africa. Children her age weren’t as aware as she was of the scenario where inequality based on religion, race, and culture existed. Her parents were Lithuanian Jews, who had immigrated to South Africa to escape oppression. She went to Wits University after matriculation, married cardiologist Moses Meyer Suzman and completed her degree in economics and economic history in 1940. By 1945, she had become a tutor at Wits and a mother of two girls, Frances and Patricia. In the year 1953, Helen Suzman became an MP and served for a period of 36 years. For six of those years, she was the only female in a very patriarchal parliament where she consistently challenged discriminatory legislation and the spate of security laws introduced by the Apartheid government. Helen’s refusal to be indifferent towards the injustice around her did not go unnoticed. She was twice nominated for the Nobel Peace Prize and received 27 honorary doctorates, but refused to be made a Dame of the British Empire. She gained popularity for her answer when a minister blamed her for the world’s negative view of South Africa. “It is not my questions that are an embarrassment, it is your answers,” she said. She visited political prisoners, angering her fellow members of Parliament. According to Nelson Mandela, Helen was the first woman that they had ever seen on Robben Island when she visited him and other prisoners in 1967. Later in her life, Helen became President of the South African Institute for Race Relations and a member of the South African Human Rights Commission. She also served as a delegate to the Convention for a Democratic South Africa (CODESA). Helen Suzman died on 1 January 2009. She had lived for 91 years, and retained her vision and purpose to the end.